Is Premium Loyalty Right For Your Brand? With competition just a click away, consumers are less loyal than ever before. It’s time to rethink loyalty programs. With the abundance of loyalty programs, it’s no wonder consumers have become immune to enrollment offers and incentives. And yet, paid customer loyalty programs (often called VIP, Membership, or Premium Loyalty) are paving new ground in this mature field. In a tough competitive market, retailers as diverse as Amazon, Restoration Hardware and GameStop are using paid loyalty programs to take customer engagement, customer loyalty and incremental revenue to new heights. Why Are You Still Paying for Loyalty…When We Can Do It For Free? 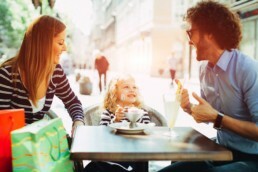 Inte Q can drive significant impact to your bottom line through a loyalty program we manage for FREE when you launch a premium loyalty program with Inte Q. How Can Implementing a Premium Loyalty Program Impact Your Bottom Line? Use Our Premium Loyalty Calculator to Determine the Impact on your Business Now. 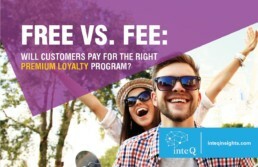 Free vs. Fee: Will Customers Pay for the Right Premium Loyalty Program? Download our Premium Loyalty Resource to learn more. Premium loyalty programs are designed to help brands engage their best customers. By providing a premium level of access to experiences, savings and added-value benefits that go beyond what a free loyalty program offers, you integrate your brand into a customer’s everyday lifestyle and strengthen the relationship they have with your brand. BUILDING A PREMIUM LOYALTY PROGRAM ISN’T EASY – LET US HELP. Inte Q can provide custom or turn-key premium loyalty programs that resonate with your customers. We can provide the benefits and the creative team to craft an engaging and on-brand customer experience. 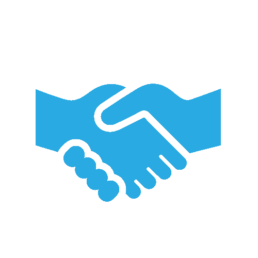 We have the experience and know-how to drive premium loyalty sign ups and increase revenue for your business. And – did we mention this is at almost no-cost to your brand?